So, with the final sum established, I had to convert the Euro proceeds into British Pounds in order to donate via Paypal on JustGiving. With fluctuating exchange rates complicating the matter, I decided to err on the side of caution and bumped up the final donation to a nicely rounded figure. And just because I am keen to provide ample evidence of the transaction having occurred, here are screenshots of the confirmation e-mails I received from JustGiving and Paypal. Last word on the donation: Please all give yourselves a pat on the back for whatever contribution – auction bid, donation, non-monetary support – you have given to this project. I am convinced that we are making a palpable difference with the amount of money we have raised, and I am delighted that it is going to a smaller charity where the impact of such a donation will be felt. Congratulations to you all – if the opportunity and demand arises, I will be more than happy and willing to organise another such charity fundraiser again. 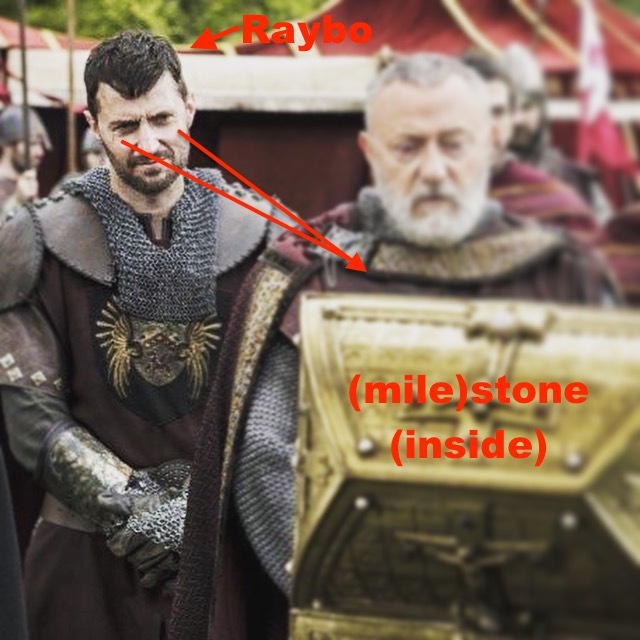 RArmitageBDParty wins the small pouch. Congratulations to all – I will get in touch with the winners on Twitter. 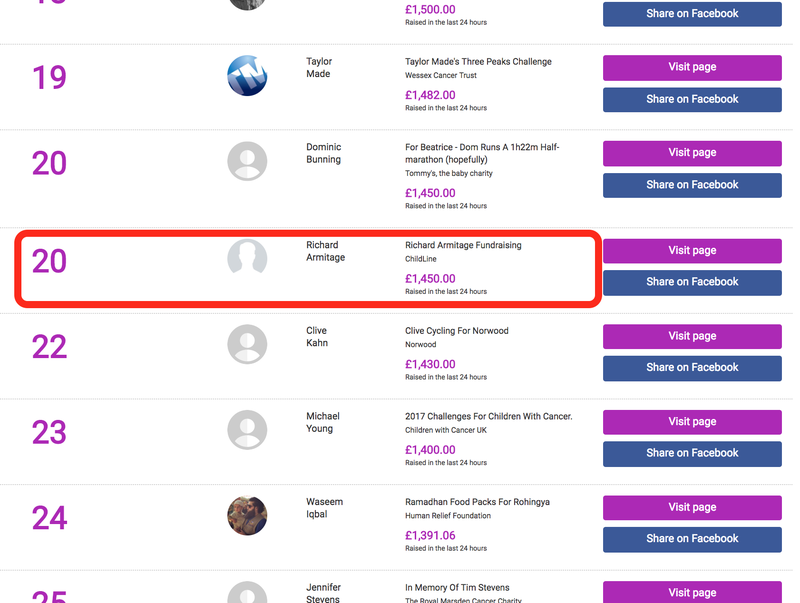 PS: I have just been informed that our donation to Young Minds via JustGiving has made it to number 20 on the fundraising leaderboard on JustGiving. Wow. I didn’t even realise there was a contest on 😉. #CelebRAtionWithPurpose Over + Thanks + Tally + OMG!!!!!!!!! [Tuesday Night] Auction Update #6: Four Figures!!! like like like! congrats to the winners, thanks so much for all the effort in organising and above all thank you to all the lovely donors! Just amazing! And thank you for pointing out the leaderboard info – interesting. Of course, it only takes the previous 24 hours into account, but well, it proves that the amount is truly outstanding. 😊 made me smile all day! Indeed – a nice show of success. Thank you, Guylty, for putting this all together. Thank you for supporting it the way you did! Fantastic result. Well done all. Indeed – and once again much more than I ever thought possible… Congrats to all! Fantastic news! Well done Guylty and everyone!! A lot of work went into that. When you look at the money raised to date with a relatively small number of people the amount is really quite amazing! And that is only for Young Minds! I do hope Richard is informed when his chosen charities receive donations. 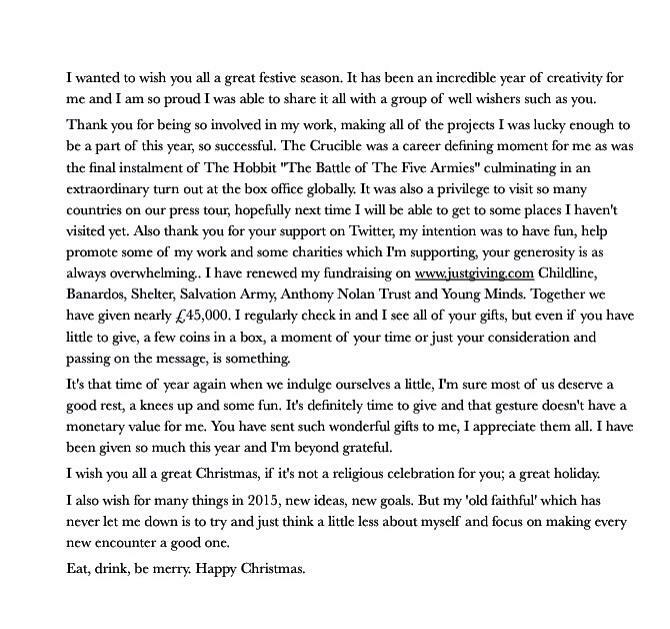 I think he can feel justifiably proud of his fans/well-wishers. Apart from generating donations, the additional benefit of the auctions is always that a lot of people come together for it – and that’s what I really love about it. But yes, it’s so great because there are so many generous people taking part. Well that really is an amazing result! Three cheers for all the participants and donors! And of course to you too for all your organizing. Teuchter was commenting how especially impressive this was given that we were a relatively small group. Out of curiosity, do you know how many people participated? i.e. bidders, donors, publicizers? That is a very good question. I know that we had 16 donors (in terms of donations to the fund). I’ll have a look at ebay and find out how many bidders there were. Publicizers are hard to determine, too, because there were so many posts RTd and reblogged, but I reckon there were more than 50 people actively involved with comments and posts. Wow! that’s a fantastic amount raised. Congratulations to all the participants and the winners of your lovely raffle Guylty. A pretty total, I agree. I am chuffed that we reached such a big total again. An amazing result for good. Thank you for organizing this event. Great fun to do so – it’s always worth it. I can only hope there will be an opportunity. 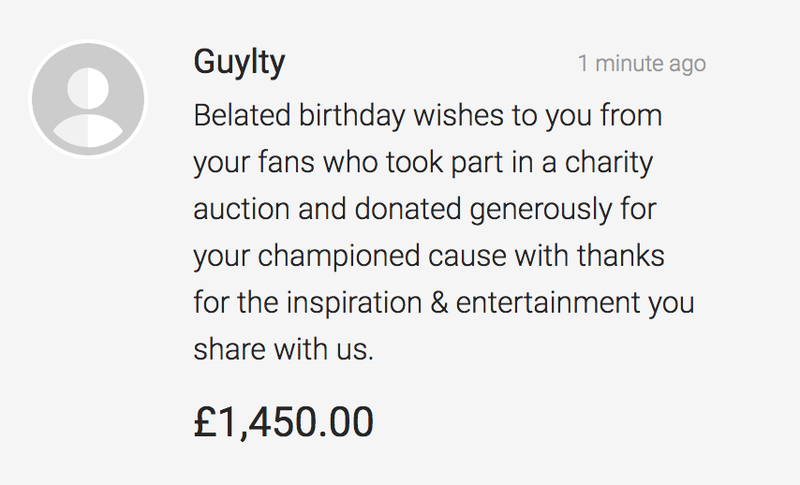 Well done Guylty and the many Richard fans who took part! You rock!! I’m really pleased with the whole event, but most of all that others felt it was fun, too. Oh hooray! Such a treat in store. I am envious!! Je suis impressionnée par le résultat. Quel investissement quelle organisation. De plus l l’association “young minds” est une cause juste. Bon travail, toute mon affection aux donateurs! Thank you very much, Squirrel! Young Minds is definitely a worthy cause. Unbelievable result! And Guylty, your ‘little note’ was perfect too. 🤗 Thanks Jenny! For all! I’m crying, because I’m a sentimental fool. It makes me very happy to see the wonderful results of the auctions; all the good this fandom can do for those in need. Thanks to everyone. 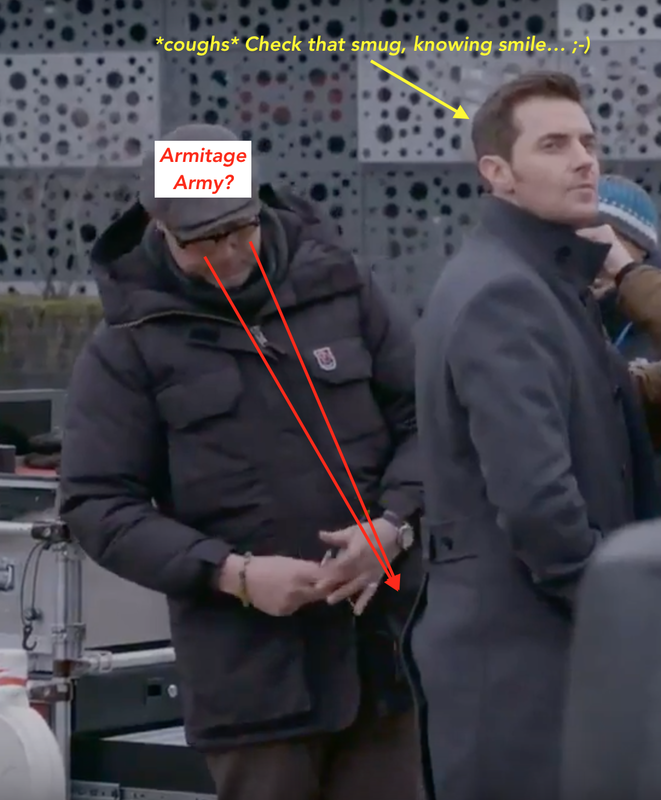 This deserves an Armitage Army Group Hug! SOOOOO cool! Well done everyone and congrats to the winners!